What is the difference between a lie and a fantasy, when the subject is a child? Moving between literary and scientific texts, Sally Shuttleworth explores a range of fascinating issues that emerge when the inner world of the child becomes, for the first time, the explicit focus of literary and medical attention. Starting in the 1840s, which saw the publication of explorations of child development by Bronte and Dickens, as well as some of the first psychiatric studies of childhood, this groundbreaking book progresses through post-Darwinian considerations of the child's relations to the animal kingdom, to chart the rise of the Child Study Movement of the 1890s. 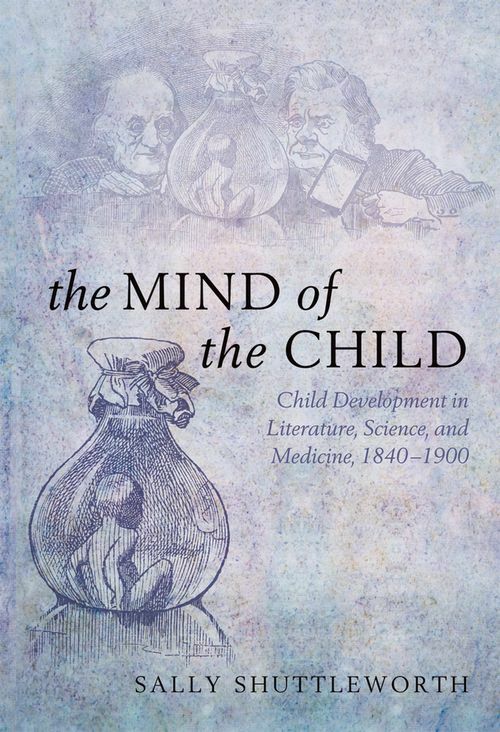 Based on in-depth interdisciplinary research, The Mind of the Child offers detailed readings of novels by Dickens, Meredith, James, Hardy and others, as well as the first overview of the early histories of child psychology and psychiatry. Initial chapters cover issues such as fears and night terrors, imaginary lands, and the precocious child, while later ones look at ideas of child sexuality and adolescence and the relationship between child and monkey. Experiments on babies, the first baby shows, and domestic monkey keeping also feature. Many of our current concerns with reference to childhood are shown to have their parallels in the Victorian age: from the pressures of school examinations, or the problems of adolescence, through to the disturbing issue of child suicide. Childhood, from this period, took on new importance as holding the key to the adult mind. Professor Sally Shuttleworth is Head of the Humanities Division at the University of Oxford. She has published widely on literature and science, including George Eliot and Nineteenth-century Science; Charlotte Bronte and Victorian Psychology and Embodied Selves: An Anthology of Psychological Texts, 1830-1890 (co-edited with Jenny Bourne Taylor). She also co-directed the Science in the Nineteenth-Century Periodical project.